REGISTRATION FOR THIS TOURNAMENT IS NOW OPEN AS OF MONDAY, MARCH 4, 2019. Join us on Saturday, April 27 for a 3-on-3 tournament from 9:30 a.m.- 3:00 p.m. Register now by completing the form below and click “submit.” Each individual player must register and include your team name and team members in the appropriate section. All players must be at least 15 years of age as of the date of the tournament to participate. 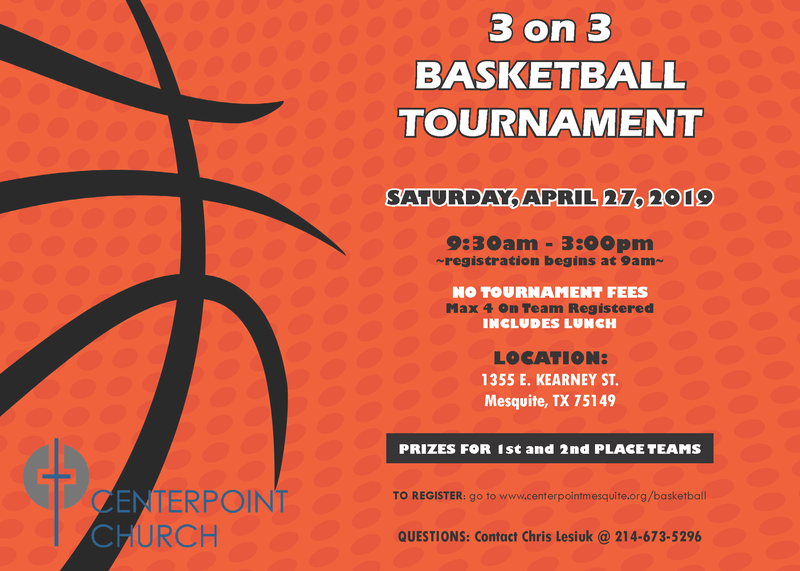 After registering, please contact Chris Lesiuk @ 214-673-5296 to arrange to receive a copy of the rules. Max number of teams is 16. No more than 4 people per team. NOTE: This is an outdoor tournament. In the case of inclement weather, we will reschedule the tournament to Saturday, May 4, from 9:30 a.m. – 3:00 p.m. If we have inclement weather on that day too, we’ll cancel the tournament.